When the accounting or financial reporting for a transaction or event is in dispute, Esther can help you analyze the issues and develop arguments. She has testified in a number of high-profile litigation cases and is able to provide the unique perspective that comes from having been responsible for applying and interpreting the accounting standards for several major Wall Street firms.﻿ While she is comfortable with technical terms, Esther is able to describe accounting issues in language anyone can understand. Esther is available to provide behind-the-scenes advice on strategy and/or testify in court as an expert witness. The accounting for structured transactions, such as those involving special purpose entities and derivatives, can be complex, and often involves making difficult decisions in areas where the accounting is rapidly changing. Esther has many years of practical experience in applying accounting standards to live transactions and can provide advice on the accounting for a variety of complex products and transactions. She can also advise on how such transactions should be disclosed in the financial statements. Too often, companies don't realize the impact of a new accounting standard on their business until after a new standard has been implemented. The time to begin analyzing the implications of a new standard is before it is finalized, so that issues can be raised with standard setters and addressed by them. Esther can help your company prepare formal comment letters on proposed standards to submit to standard setters, and/or help your management team prepare for meetings with regulators to discuss the impact of new standards on your business. By helping your company be more proactive, Esther can help you influence the pace and direction of change to the accounting for your industry. Accounting standards are changing all the time, and it can be difficult to ensure that company policies are kept up-to-date. Such projects are often given lower priority by many companies when resources are constrained, yet they are of critical importance in ensuring that company personnel are kept current so that transactions are accounted for properly. Esther is a fast and efficient writer and can help you produce, update, and/or overhaul customized accounting policy manuals. She is also skilled at managing large-scale implementation projects and is available to project-manage and oversee the implementation of new accounting policies. Many regulators such as the SEC are required to review a company's financial statements periodically, and often have questions regarding the adoption or application of accounting policies to business transactions. Esther can get to the heart of an issue quickly and has a good sense of what regulators are typically focused on. She can help your company respond to inquiries from regulators in the format and timeframe that is required so that your company can go back to focusing on its everyday business. A strong system of internal controls is essential to ensuring that financial statements are prepared accurately and on time. Even the best systems need periodic review to ensure they are up-to-date. Esther can help your company develop user-friendly tools to improve compliance with challenging technical requirements and can develop remediation plans for SOX deficiencies and material weaknesses that may arise. She can help ensure that internal controls are actually functioning as controls over the business, rather than merely documenting processes that occur in the course of the business. Audit Committee best practices include overseeing a company's financial reporting process, including reviewing the quarterly and annual financial statements, monitoring the company's choice of accounting policies and principles, and monitoring the company's internal control process. It can be difficult even for seasoned professionals to ensure they are focusing on the right issues. 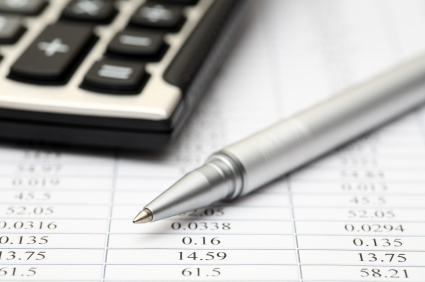 Esther can help Audit Committee members navigate and interpret financial statements. She can provide an objective viewpoint on the company’s accounting policies and internal control processes and educate Audit Committee members on accounting issues that other firms are facing. Esther is also available to help investigate and respond to any “whistleblower” reports or regulatory inquiries that the Audit Committee is required to oversee. Esther is fluent in both U.S. GAAP and IFRS. If you are an international company that is subject to dual reporting, she can assist you in designing an efficient approach that complies with the reporting requirements of both regimes. She can pinpoint the often subtle ways in which U.S. GAAP and IFRS differ, and suggest approaches that meet both sets of requirements. In addition, with her experience in dealing with the International Accounting Standards Board, she can help your company become more proactive in interacting with the IASB on issues important to your industry.